The iMove Charger is the perfect accessory for power users, who constantly run through the battery life on their phone. Despite the name, the device works on most handsets and uses the same principle that self-winding watches used to employ years ago. The generator inside the device creates power from your movement, meaning that as long as you're moving, you will never be without battery life on your handset. The charger also features a UI that keeps track of the calories you've burned as well as the amount of power you've generated. You can also change the voltage level. The iMove Charger is expected to retail for $80, but on Idiegogo, the first 1000 to help fund the project can purchase the charger for just $50. Unfortunately, the demand for the iMove Charger does not seem to be very strong at this point. On April 12th, the project was open for funding, and with just nine days left to raise the goal of $25,000, the device has brought in funding commitments of $2,036. The iMove Charger is going to need a last minute rush to meet its funding goal. If it is a product that you would buy, you still have some time left to help get the unique charger funded. So it's basically like a portable battery that recharges itself when you walk with it. Is there any information on how much walking it would take to completely charge the iMove's battery? The wiggling of an eccentric rotor is a quite small energy source. It works very well with wrist watches, whether mechanical or quartz, because they require less than 10mWh to operate. 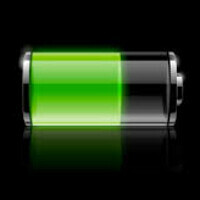 Compared to a phone, that requires hundreds of times more energy, it doesn't seem that such a device would be able to provide a noticeable charge to the battery. They should make a system that charges the iPhone using urine. Apple would like this too as the chance of leaving your secret iPhone prototype at the bar is lower. Every time you piss, you will remember you could be charging your iPhone. And, if you are not too drunk, you will think, "now where did I leave the secret iPhone prototype???" The video looks like it was made by a 6-year-old.